Nose classic youthful syrah, cracked blackpepper and tar, elegant big and spicey just taking on gamey meaty, truffle and leather characters now, still very young. Full and weighty classic wine, still young, nose dense and compact, well balanced and muscular, black currant and cedar wood, palate well alanced and smoth, long finish. Very classic nose, soft evolved complex and open, fine leather and cedar, damp forest floor, sous bois, delicious balance of ripe mature fruit with perfectly poised acidity and tannins. V good, very long. Tight black fruit, vanilla and coconut oak, new US oak full and smoky, eucalyptus and and mint ethers, solid palate showing little maturity, big long heavy and complex. Tarantino on Cristal – best Roederer advert ever! 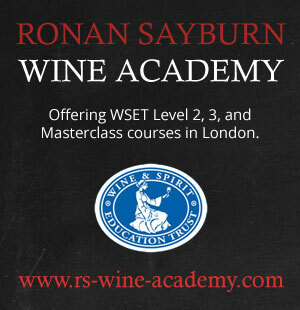 Ronan is highly respected and at the very top of his profession as a Master Sommelier and wine buyer. He has huge knowledge that he both passes on to his own team and enthusiastically shares with wine enthusiasts generally.